Madrid: Gaspar, 1879. Bound in 1/4 leather with red pebbled boards (sunning to both panels). Endpapers professionally reatored and book tightened. Ex-college library, with one faint stamp at bottom of title page. 365 pp. A very early copy of this book of fairy tales by Andersen, printed in Spanish, of course. Only five (5) copies on OCLC. Exceedingly scarce. . Early Reprint. Hard Cover. Very Good/No Jacket. Illus. by Con Grabados. 8vo - over 7¾" - 9¾" tall. London: Bell & Daldy, 1870. Bound in green cloth, stamped in gold and black. All edges gilt (top edge faded a bit). Some scuffing to spine, but type still very readable. A handsome early copy in English of this 542 pp. book of Fairy Tales by the master storyteller. Handsome, tight copy. . Early Reprint. Hard Cover. Very Good +/No Jacket. 8vo - over 7¾" - 9¾" tall. Boston: Ariel Books/Houghton Mifflin, 1989. Two closed tears to dust jacket. 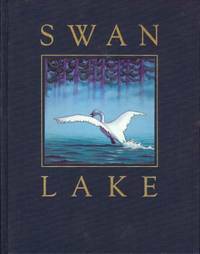 Classic Ballet in prose form with 13 beautiful color plates by Chris Van Allsburg; 80pp.. First Edition. Hard Cover. Near Fine/VG++. Illus. by ALLSBURG, Chris Van. Hallmark Play Books "A stand-up story for you because you're special"; ten "page" pop-up book; one tiny torn piece (still attached) to first page.. First Edition. Hard Cover. VG+/No Jacket (as published). London: Frederick Warne Beautiful small (4 1/4' by 6 1/2") book completely illustrated in color; 54pp.. Early Reprint. Hard Cover. Near Fine/Near Fine -- Price-Clipped. Illus. by GREENAWAY, Kate. 48mo - over 3" - 4" tall. New York: Knopf, 1925. Fantasy/fairy tales bound in soiled brown buckram, sans DW; black & white designs by Bold; small book store label on rear paste down; 334pp.. First Edition. Hard Cover. VG Only/No Jacket. Illus. by Bold. New York: Harper & Row, 1979. A Medieval moral tale animated by the spirit of Poe and Burroughs; color.. First U.S. Edition. Hard Cover. Near Fine/Near Fine. Illus. by FROUD, Brian. 4to - over 9¾" - 12" tall. LONDON: Phoenix House, 1995. True first edition; previous owners tiny name neatly penned on ffep. ; tiny closed tear to top, front of DW; 158pp.. First Edition. Hard Cover. Near Fine/Near Fine. New York: Dodd, Mead, 1927. Faded spine on DW; illustrated end-papers; black & white plates and illustrations; 352pp. Overall a stunning copy of this book in the scarce dustwrapper (beautiful despite the faded spine). A quality production. . Early Reprint. Hard Cover. Fine/Near Fine. Illus. by PATTERSON, L. A..
New York: Delacorte Press, 1982. Translated by Barbara Shelby Merello; black & white illustrations; remainder spray on bottom & front edges; 96pp.;. First U.S. Edition. Hard Cover. Near Fine/Fine. Illus. by CARYBE. Notre Dame: Univ. Of Notre Dame Press, 1978. First trade edition of Faulkner's fable self-published in 1926 with black & white and watercolor illustrations by the author; end-papers; introduction by Carvel Collins; 87pp.. First Trade. Hard Cover. Fine/Fine. Illus. by FAULKNER, William. Chicago: A.C. McClurg & Co., 1892. New American Edition bound in blue buckram with gold gilt decorations; part of the "Laurel Crowned Tales" and forms a part of the collection under the title of "Laboulaye's Fairy Book"; translated by Mary L. Booth; previous owners inscription on ffep. ; chapter decorations; 232pp.. Reprint. VG/No Jacket. 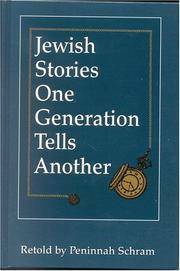 Northvale, NJ, U.S.A.: Jason Aronson Inc., 1989. 2nd edition, 4th printing; signed, dated & inscribed by author; illus. in black & white; 508pp. Tight, clean copy. . Inscribed and Signed By Author. Later Printing. Hard Cover. Near Fine/Near Fine.